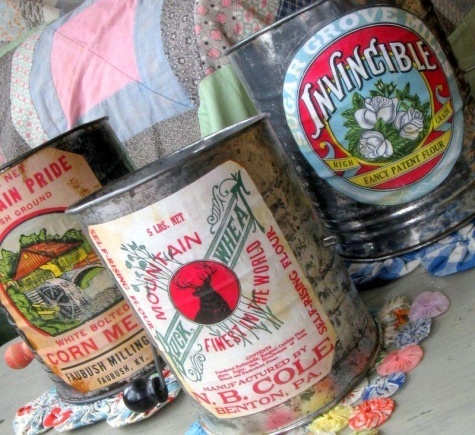 I love to take a garage sale staple, like the common tin flour sifter, and save it from “dumpster doom” by up-cycling it into something colorful for my home or to give as a gift. I’m here to help you do the same thing! To give the flour sifters some pizazz, I’ve taken my collection of vintage flour sack graphics and printed them on Wordlabel’s label stock product # WL-525. 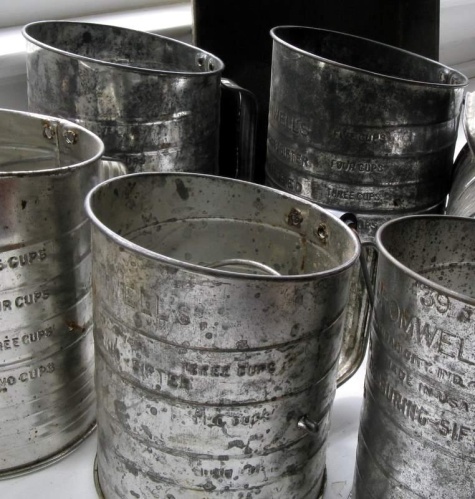 If you can’t find a couple tin flour sifters this spring at a garage sale or flea market, you just aren’t looking! I would recommend cleaning them in soapy water and drying well as a first step. After printing out your labels, you will want to age your labels a bit to give them extra authenticity. I like to use some Tim Holtz Distress Ink in Vintage Photo and Antique Linen, applied with a paper towel. 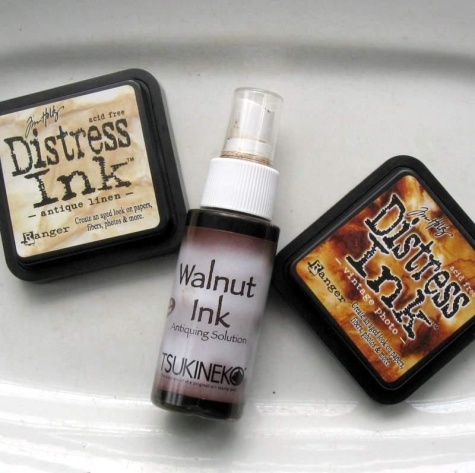 A quick spritz of Walnut Ink will give some age spots. You might want to practice on some newspaper first to see what is going to happen. Next, apply your label to the flour sifter and you’re done with the basic project. But now it’s time to use your imagination. 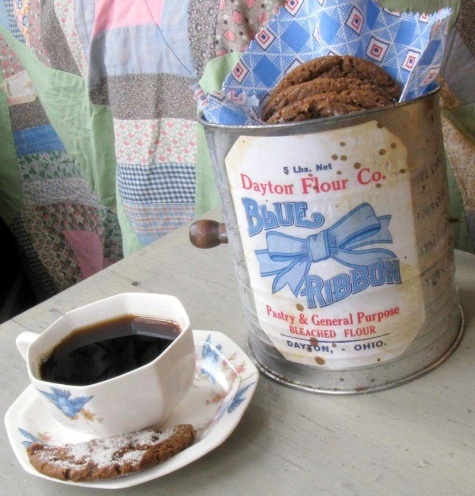 Will you fill your new creation with molasses cookies and a vintage napkin, like I did? Perhaps a geranium in a plastic container would be a nice Mother’s Day gift (to be planted in the garden by you later, of course). I hope you can try this easy and satisfying project for yourself. I’d also like to invite you to visit my blog, Mitzi’s Collectibles, where I share my passion for all things vintage and crafty. I’ve been an antique dealer for 12 years, and I’m sitting on quite a stash of beautiful vintage graphics. I plan to return soon here at Worldlabel with more lovely images to share! This entry was posted in Labels & Printing, Productivity and tagged labels, vintage labels on May 24, 2011 by wlmanager. Very cool,, love this idea. When I click the link it keeps saying “drawing error” and then crashes my laptop. Is there another link for these? They are great! Don’t have any flour sifters (which are adorable), but I fully intend to print some up, frame them and hang them in my kitchen! Thanks! Any advice??? Those labels are darling and I can’t wait to print them! Thanks for sharing. Try right click on download link and ” Save link as”. Its a very large file.